Willa Köerner leaves the internet to visit The Remix. She talks about why The Creative Independent exists to share creative challenges—including creative anxiety and making a living—and ways of paving your own path. We also delve into her new upstate NY residency, The Strange. It’s a place where artists can live in a remodeled barn in the woods without losing their internet connection. Listen to find out what makes The Strange so beautiful and strange. Willa Köerner is the Creative Content Director of The Creative Independent, a growing resource of emotional and practical guidance for practicing artists. Before TCI, Willa directed editorial and content strategy at Kickstarter, and before that, she managed digital engagement at the San Francisco Museum of Modern Art. She is currently a NEW INC mentor, and was formerly a founding member of Grey Area Art + Technology’s Cultural Incubator. 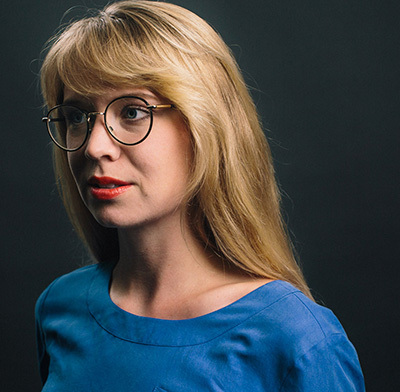 Willa has worked as a creative strategist for a wide range of arts organizations including the Smithsonian, Electric Objects, and Art21, and has been known to write, edit, curate, and otherwise create for all sorts of cultural projects. She’s currently working with her partner, Daniel Morgan, to establish The Strange Foundation, an internet-infused creative space in the woods of New York’s Catskill Mountains.